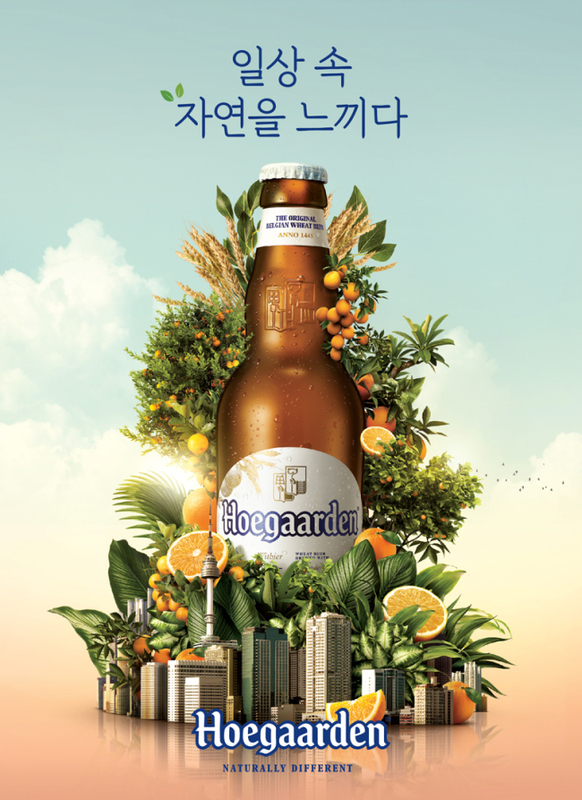 Belgium wheat beer brand Hoegaarden is launching a new digital advertisement and an exclusive lounge as part of a promotional campaign, its South Korean distributor Oriental Brewery said Thursday. According to OB, the digital ad titled “Make Room for Nature” was created by such artists as members of IAB Studio, florist Kim Young-shin, food stylist Lee Won-mi and photographer Park So-young. The advertisement features how each artist interprets nature. It was inspired by Hoegaarden’s main ingredients such as orange, coriander and wheat. The advertisement will be released on Hoegaarden Korea’s official Instagram and Facebook accounts next week. As part of the promotional campaign, it will also operate Hoegaarden Nature Lounge at E-mart’s Garden 5 outlet, where consumers can relax and take photos in an indoor garden environment. Those who upload photos with the #Hoegaarden Nature Lounge hashtag on social media stand a chance to win gifts. First brewed in 1445, Hoegaarden is a wheat beer spiced with coriander and orange peel. Its products are sold in 70 countries including Korea.